Book Bloggers read and then blog about what they read. I think they are Mavens. What is a maven anyway? In Malcolm Gladwell’s The tipping point, a maven is described as a trusted expert in a particular field, who seeks to pass knowledge on to others. There are so many African blogging about African literature. Who would have thought so? When I set out to compile this list I certainly didn’t think so. So I had a hard time, choosing just 10 blogs. It was really hard, I have to emphasize on this point. 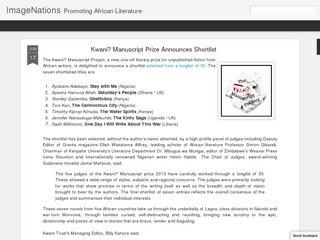 While I was making this list I keep asking myself: What is African literature exactly? Is it just a black thing? What about African-American? What about the Islands? My view is that African Literature is any published work by an African author. It is indeed a very interesting debate that deserves to be explored in a separate article. 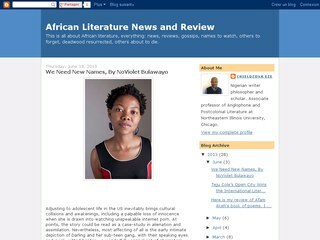 Back to my list, here is a list of 10 African literature mavens (English-speaking) that I think you should know about and if, possible, visit daily, ok weekly! The main criteria used to put this list together, was the amount of reviews in the blog. Some bloggers are also writers who have published books poems, short stories…Those who tend to reviews books a lot, made it to this list. 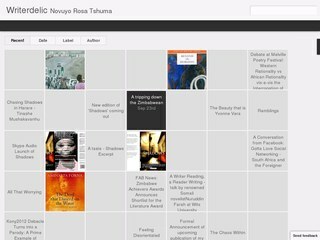 A Nigerian based in Spain who blog about (mostly) African Literature. What you will love about her blog: She has read so many books that you can be sure to find almost anything Fiction and African on this blog. I would add that she is partial to Nigerian writers. He is a Ghanaian blogger who lives in South Africa. He describes himself as a reader, writer, book collector, editor and blogger. What you will love about his blog: They are a bunch of very good interviews in his blog, mostly Ghanaian writers. 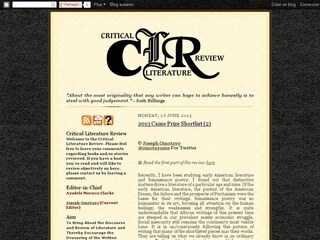 You will also find a lot of news about books and literary prizes. 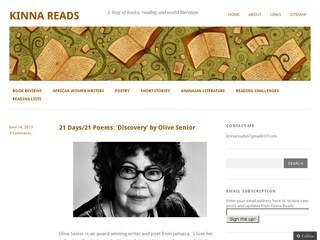 She is a Ghanaian women who is partial to women writers and their works, especially African women writers. What you will love about her blog: She is also a writer. So if you love short stories and poetry, this blog is for you. She also reviews and comments on novels. Freddy is a Ghanaian, who is an Agricultural Economist by profession and a Poet by passion. He writes poems and short stories. Some of his poems have been published in magazines and e-zines. What you will love about his blog: Freddy promotes African Literature; hence, in addition to the reviews you will find on his blog, he conducts interviews, post events, profile authors and their books, and many other literary issues. This Nigerian blogger aims to celebrate, recognize and promote contemporary African literature. 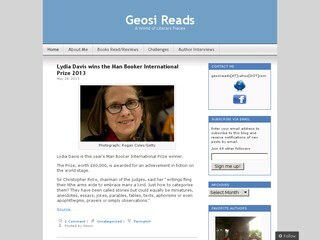 What you will love about her blog: She is on top of every literary news you need to know. In fact, you should follow her on Facebook as well. Plus, she has interviewed some very interesting authors. Kinna is a Ghanaian blogger who read mostly fiction, both contemporary and classic. She is partial to women writers and their works, especially African women writers. She reviewed anything from novels and short stories to poetry. 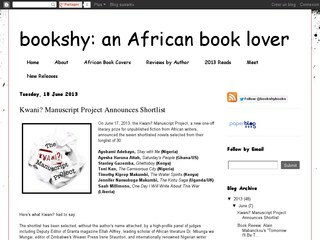 What you will love about her blog: She does not blog exclusively about African authors. She is very popular on the web and amongst bloggers. And more importantly, she is always on top of whatever is happening in Ghana on Arts. The author of this blog is a Nigerian writer philosopher and scholar. He is currently an associate professor of Anglophone and Postcolonial Literature at Northeastern Illinois University, Chicago. 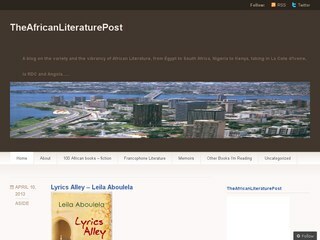 What you will love about his blog: In his blog, he covers all about African literature: news, reviews, gossips, names to watch, others to forget, deadwood resurrected, others about to die. A native of La Cote D’Ivoire who writes on the variety and the vibrancy of African Literature, from Egypt to South Africa, Nigeria to Kenya, taking in La Cote d’Ivoire, la RDC and Angola. What you will love about her blog: she reviewed francophone books from time to time. She is a very promising writer who also reviews books. She has published a collection of novellas and short stories. What you will love about her blog: I love the visual of her blog; you will too, I am sure. She has also two of her other blogs linked to this one. This blog aims to bring about the Discourse and Review of Literature and thereby encourage the devouring of the Written Medium. What you will love her blog: If you want to review a book in here, you can. No need to have a blog of your own, just send them an email. Watch out for the lists of the 10 book bloggers French-speaking. Interesting compilation, you too should be included. You are doing a great job! And, I agree with you that African Literature is any published work by an African author. Oh Ndeye, this is simply great. I’m very humbled to find my blog among your list. But like Mary said, you are one of the best book bloggers on African Lit and your blog and name should be numero uno! P.S. I am glad to see several blogs dedicated to women in literature. We need more of them! Hello dear, Welcome to my little space! That is great, a new blogger! Good Luck on your blogging career. Thanks for this list, and your definition of African literature. I’ve been struggling with that for a while now. I’ll go with yours.